Having a corner in your bedroom that is going to be nothing but the perfect reading nook is a dream of many bookworms around the world. However, whether you love books or not, we have to admit that reading nooks can be such a great detail to any room. You can decorate and play a lot with textures and styles – there are plenty of ideas you can find online and in magazines. 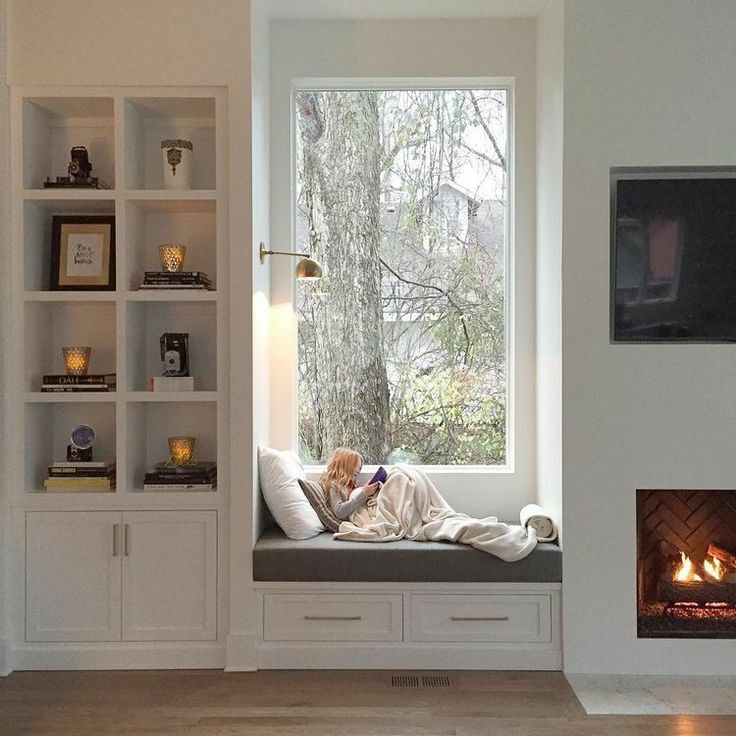 In this article you can see which made our top 10 list – we love these reading nook ideas, do you? If you want your reading nook to turn heads, then of the best ways to do so is to use bold colors. It’s very important to experiment with colors here and for extra inspiration, how about pop art colors? Blue and yellow are both very bold and beautiful colors that compliment each other very well. Plus, with the right furniture it can look vintage as well. 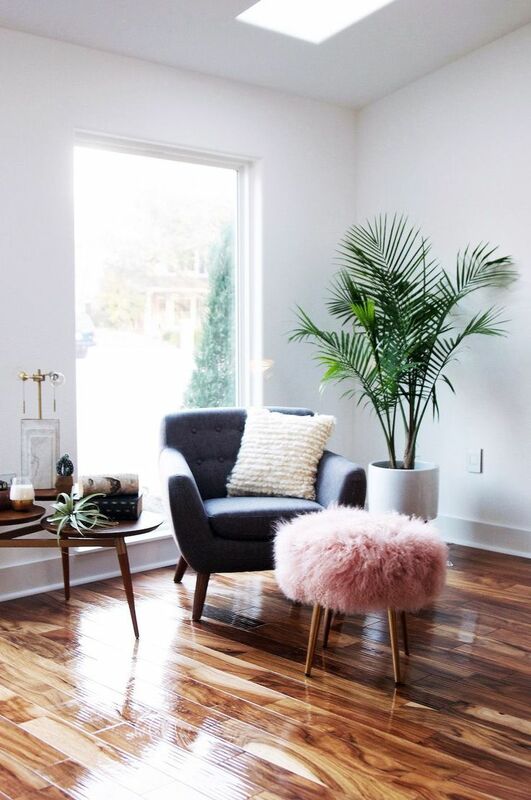 Tufted reading chair and a puffy ottoman chair – these two are the perfect way to achieve a chic look, if that is what you’re after. 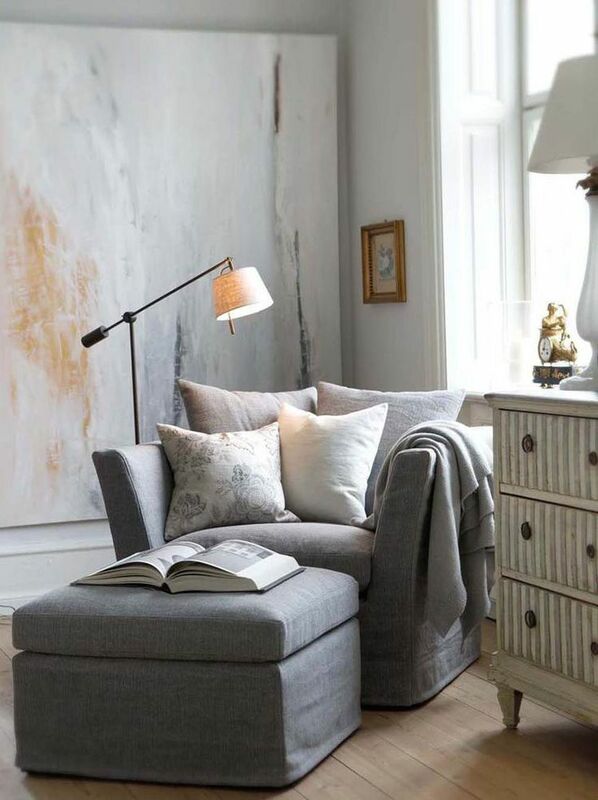 With such cozy and comfortable chairs, all you need is just a small coffee table where you can put your books and schedule your reading time ASAP. 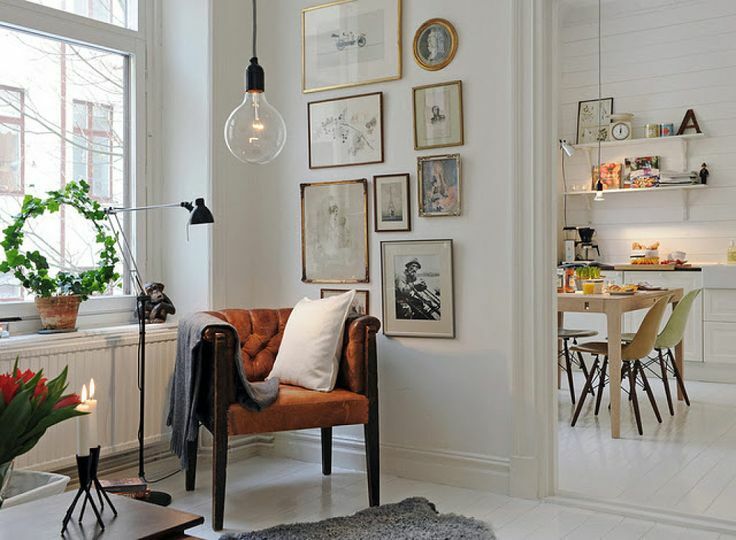 The Scandinavians know how to do an interior perfectly, even when it comes to a small reading corner of the room. To make it appear Scandinavian, make sure the room is set already for that – white walls, wall art, one or few plants and a minimalist, but comfortable furniture will do the trick. 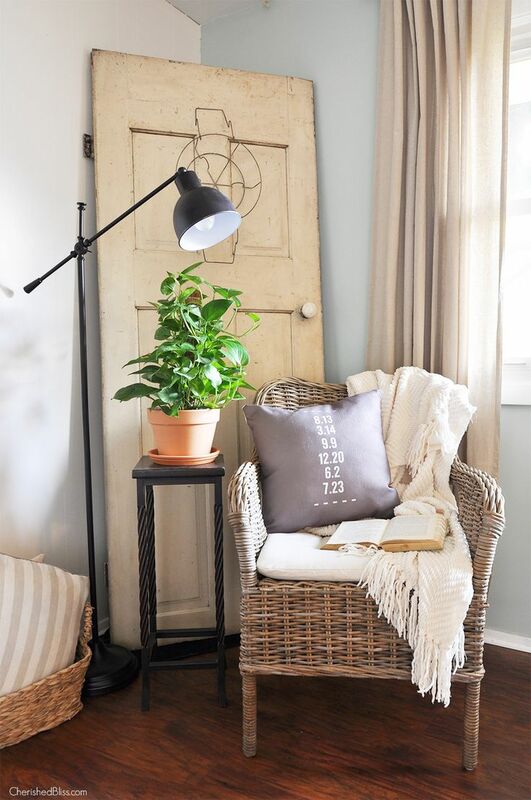 Or, if you’re more into the farmhouse look, here’s an idea on how to create your own farmhouse – inspired reading nook. Start with an old piece of furniture or other object that you don’t need – take a look at the door, how lovely it looks! 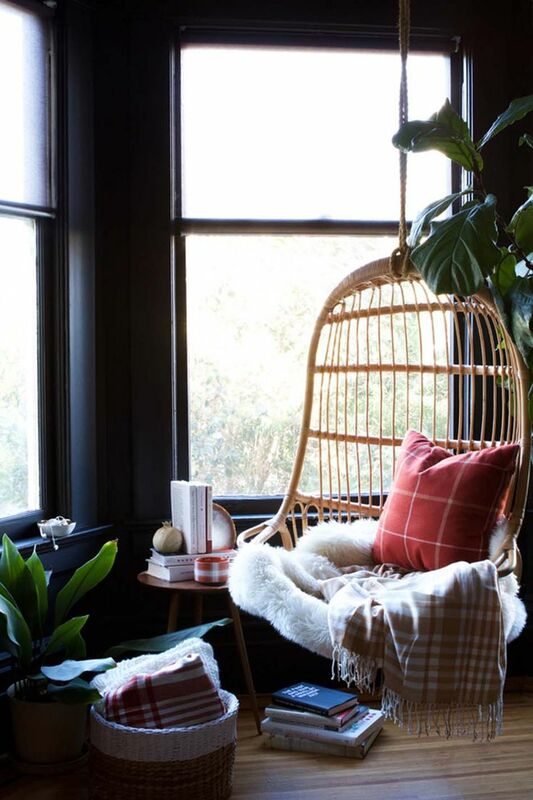 Get yourself a wicker chair and even a wicker basket where you can put your books, magazines or even pillows. Bookworms know the struggle of not feeling comfortable some time after reading in a certain pose. So, it’s very important to choose the coziest furniture for you and make that coziness your asset as well. Sometimes even the furniture itself can be the best detail in the room. 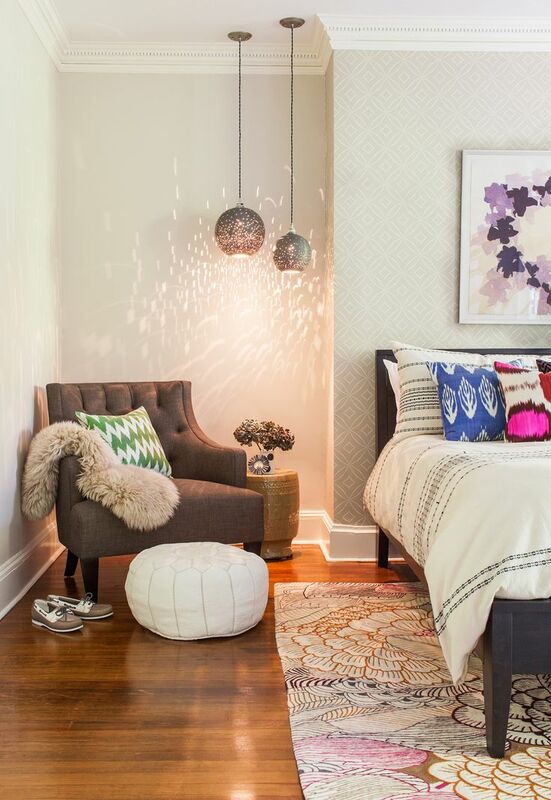 For extra coziness – add few pillows! This reading nook really fascinates us! Unfortunately, not all of us have the possibility to live in such – built home, but if you’re lucky and you have walls this high – make sure you use it in your advantage in every way possible. In – built bed and a bookshelf will make you want to stay tucked with your favorite blanket there and never leave the corner. Who’s for a hanging chair? Not only it looks so cool, but it will be fun reading something in this chair. It’s going to be a really relaxing experience and perfect for daydreaming. Add your favorite book into the picture and we’re pretty sure that you’ve just found your new favorite spot. It’s very simple to come up with a classy corner in your bedroom or any other room. When it comes to this, it’s important to choose the right furniture. There are some pieces that simply scream classiness and it makes you want to buy them right away. 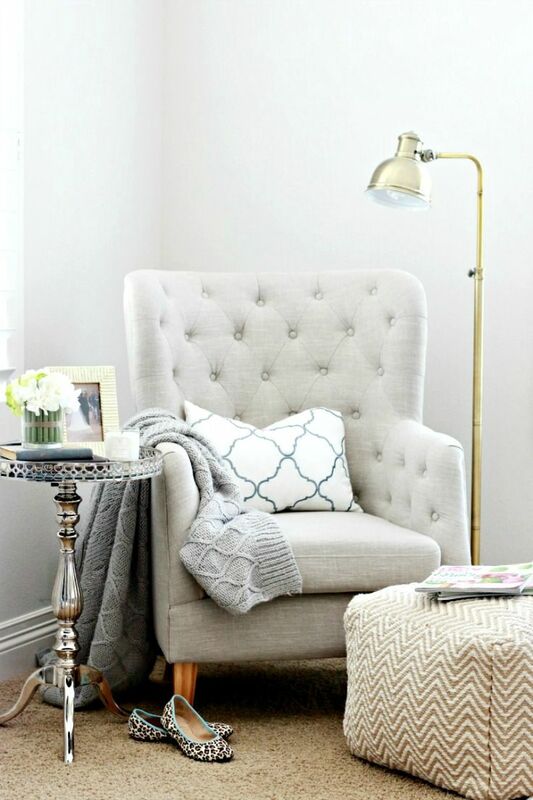 Tufted chair, furry blanker and simple ottoman chair will do the trick. What makes a corner dreamy for you? To us, the moment we saw this picture, we just simply knew that this is our kind of dreamy corner. All furniture in light, Earth – tone colors, white walls and plenty of light – sounds amazing right? 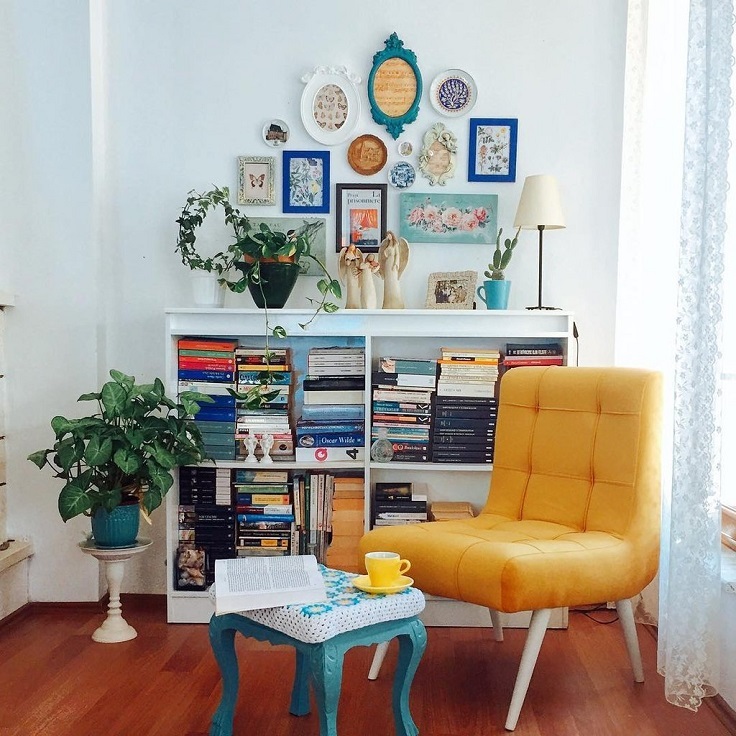 Add books, some cute decor such as flowers and we’re ready to settle down and start reading! Reading nooks aren’t just for our bedrooms. In fact, if you’re having children, and this applies especially for nursery rooms, yo u can create a reading corner there too. It should be super cute and have some child – theme – here you can experiment a lot with wall papers and wall art, rugs, child books and reading chairs as well. 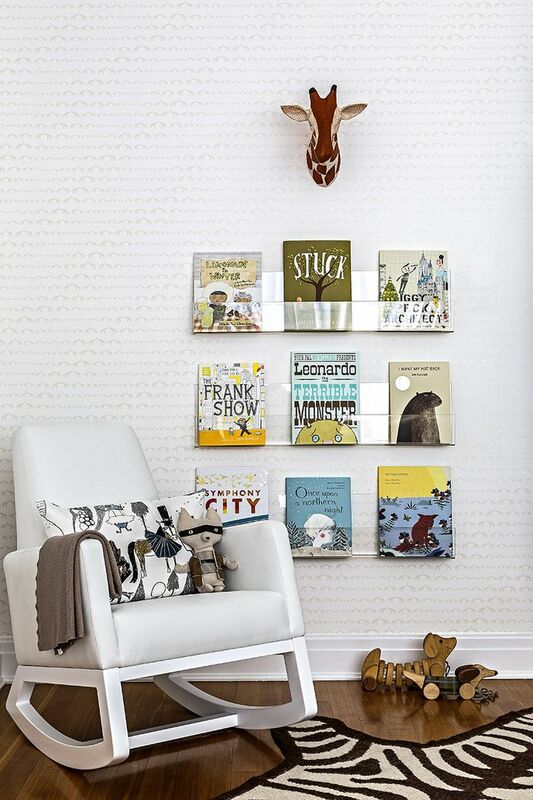 So cute ideas for reading nooks…i allready loved one for my bedroom.